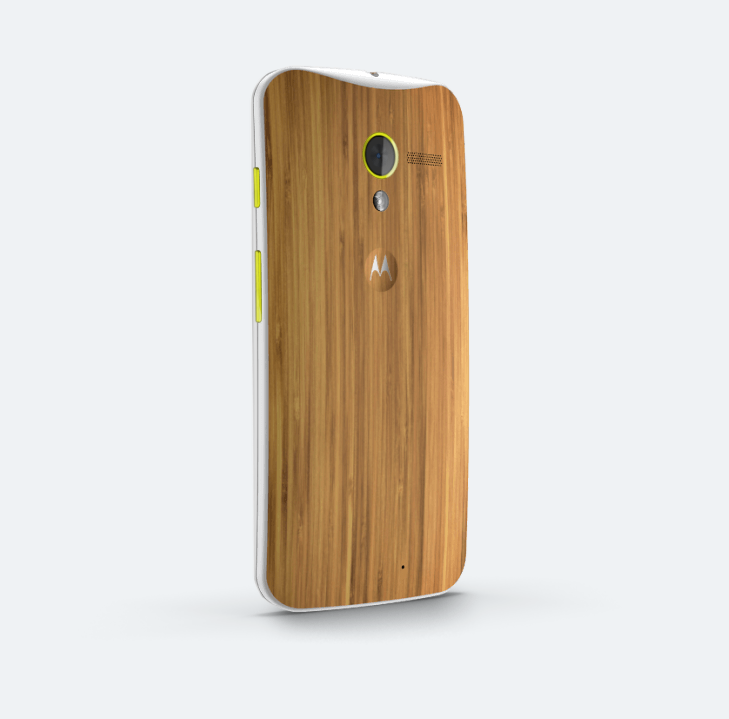 The bamboo back is the first to make its appearance on MotoMaker, though it's not available just yet – it's sporting a "delayed shipping" tag; according to the Moto blog, it won't ship till January. But at least it's an option now. And naturally it'll set you back a pretty penny: $100 tacked on the price of the phone, to be exact. So that $100 on-contract 16 gigger just became $200. All for some wood. That doesn't even take up the entire back. Still, it's an option if you want it, and it is pretty. Go crazy.